We capture some images that demonstrate the large-scale interaction that PARTTEAM & OEMKIOSKS technology provides to users. In this case, a test conducted with the digital billboard NOMYU, on the site of a well-known car brand, Renault. PARTTEAM & OEMKIOSKS has a unique experience in the field of interactive technologies, which allows them to be integrated in multimedia kiosks and digital mupis, in an effective and professional way. It is important to test and experience all the functionalities of our multimedia kiosks and digital billboards. Credit: PARTTEAM & OEMKIOSKS. View disclaimer by clicking here. Larger touch technologies can be used, each optimized for different operating characteristics and environments to meet the needs of customer applications, such as SAW (Surface Acoustic Wave), Capacitive, Infrared, Optical, Capacitive Designed (Procap), etc. There are endless possibilities of multi-touch: close a four-fingered application or swap applications between two fingers on the display, etc. The NOMYU with ultra-smooth glass features the ultimate touch experience. Glass is softer than most other glasses in the market of kiosks and common touch-screen products. After you begin to touch the surface of NOMYU, you will immediately notice the difference. 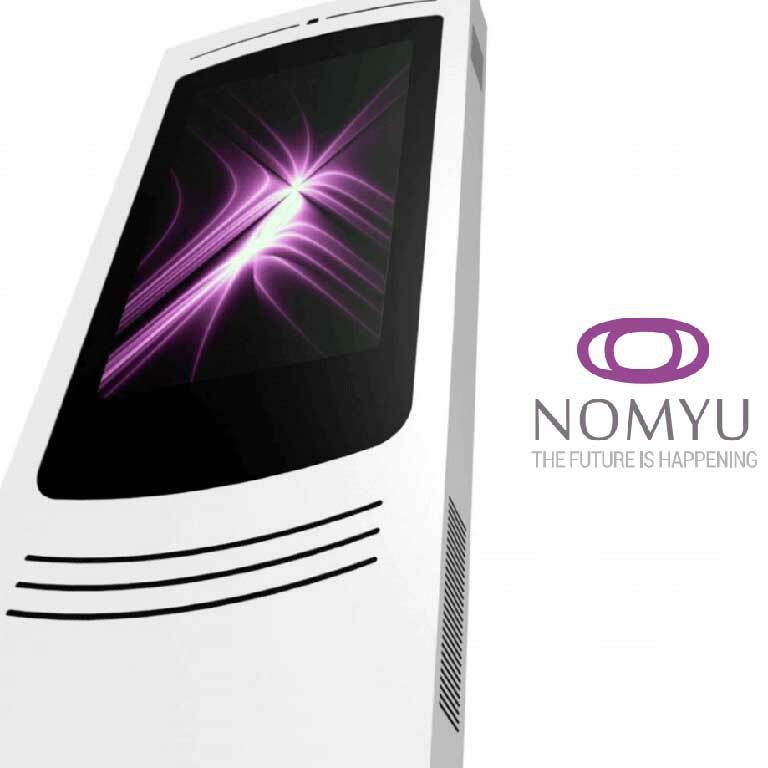 The type of displays (high brightness and contrast) used in the NOMYU are capable of producing images with reading even in conditions of exposure to sunlight, thus being able to be installed outdoors, as well as in indoors environments. Disclaimer: This video is only a simulation and is not intended to represent any link or business link between PARTTEAM & OEMKIOSKS and RENAULT.